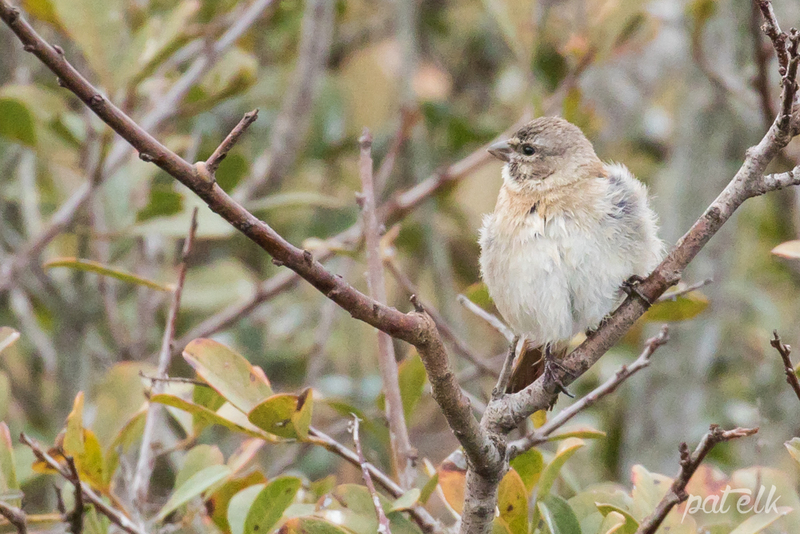 This Damara Canary (Afrikaans name, Bontkopkanarie) is usually found in small flocks together with the Black-headed Canary. 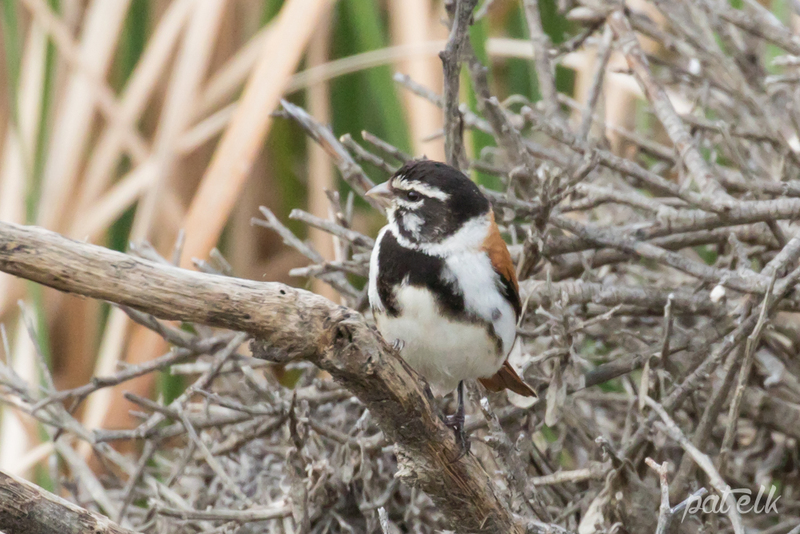 It is a pretty bird with a black and white streaked head, the female has a grey head with white patches, otherwise their colours are a chestnut wing coverts, tail and rump. They feed mainly on seeds, fruit flowers and insects. We were lucky to see these at the Abrahaamskraal hide in the West Coast National Park.